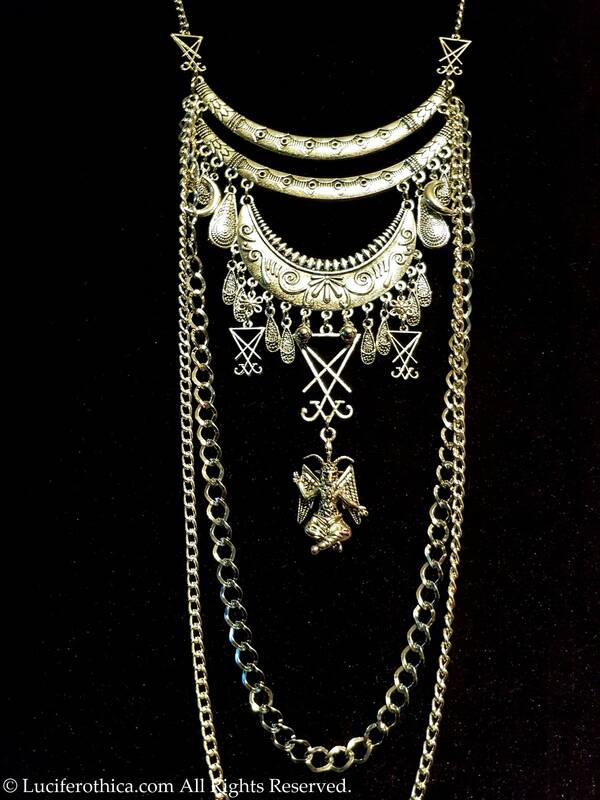 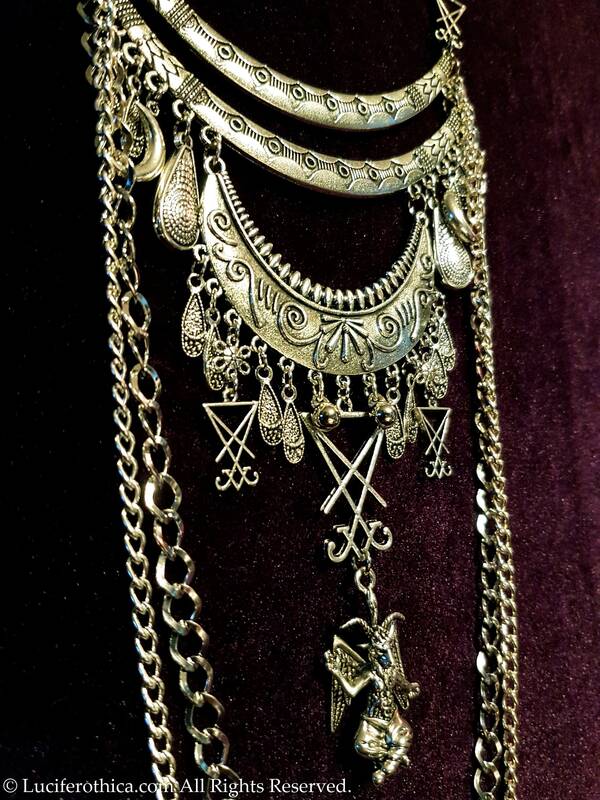 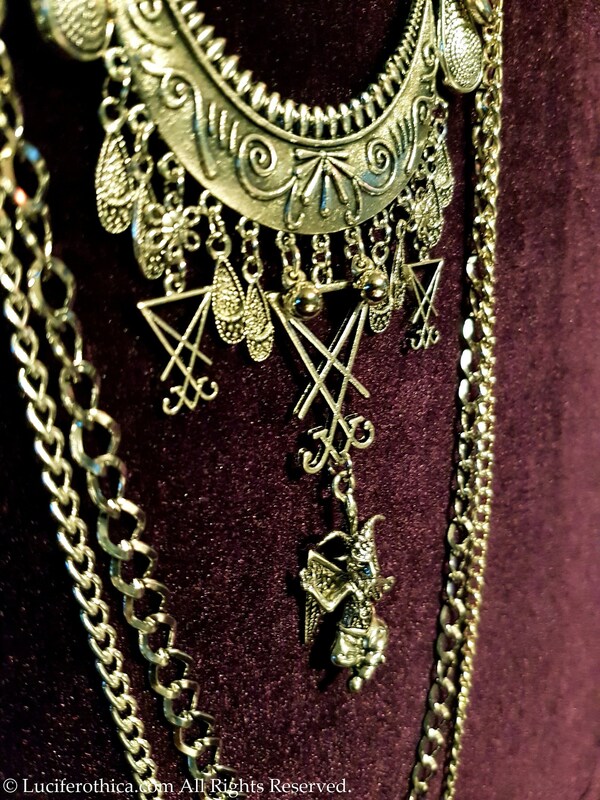 Baphomet Sigil of Lucifer Neckpiece. 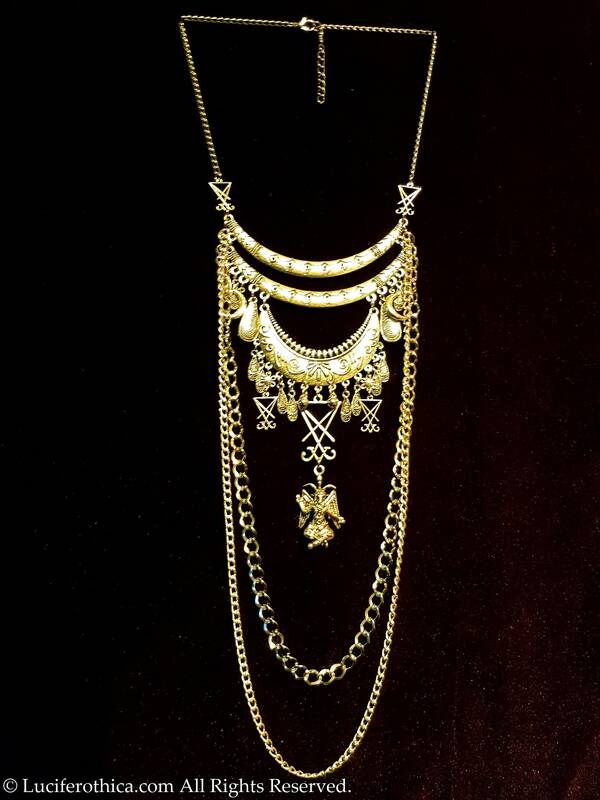 - 36cm long chain + 5 cm extension chain to adjust to your size. 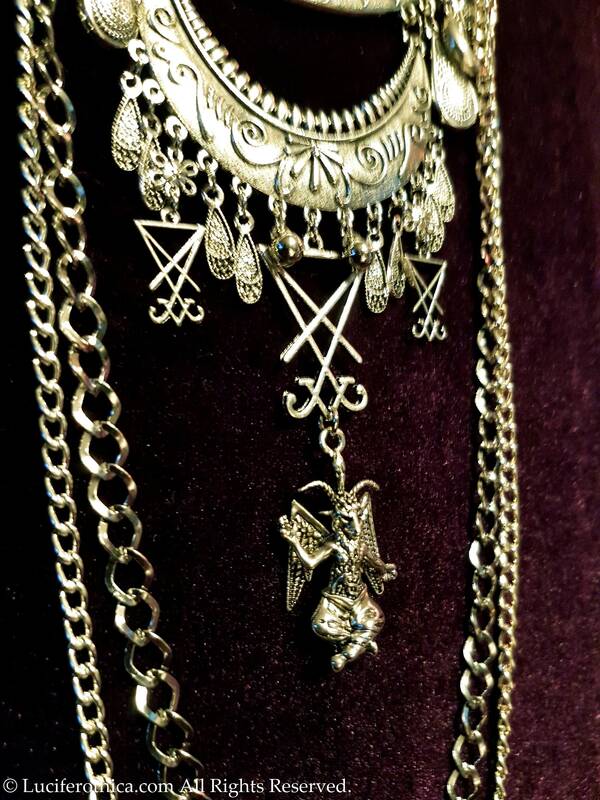 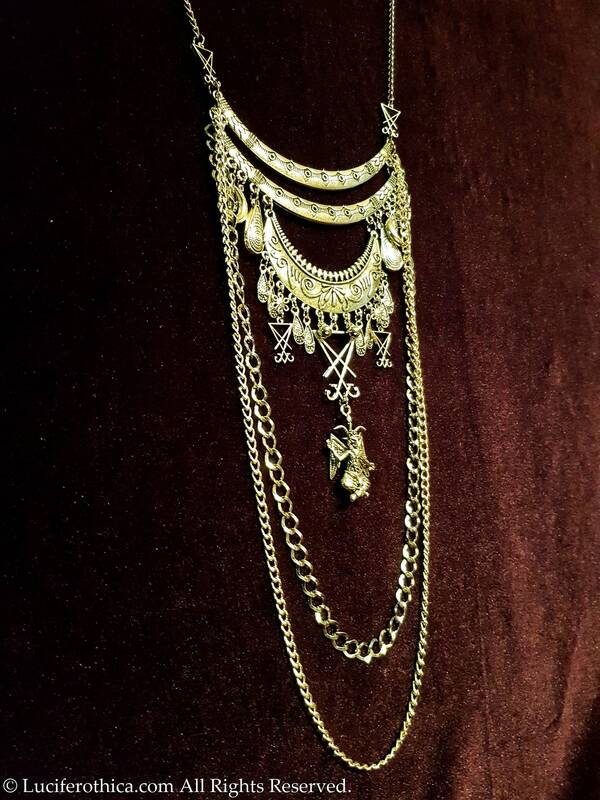 - Baphomet charm as in center of the neckpiece. 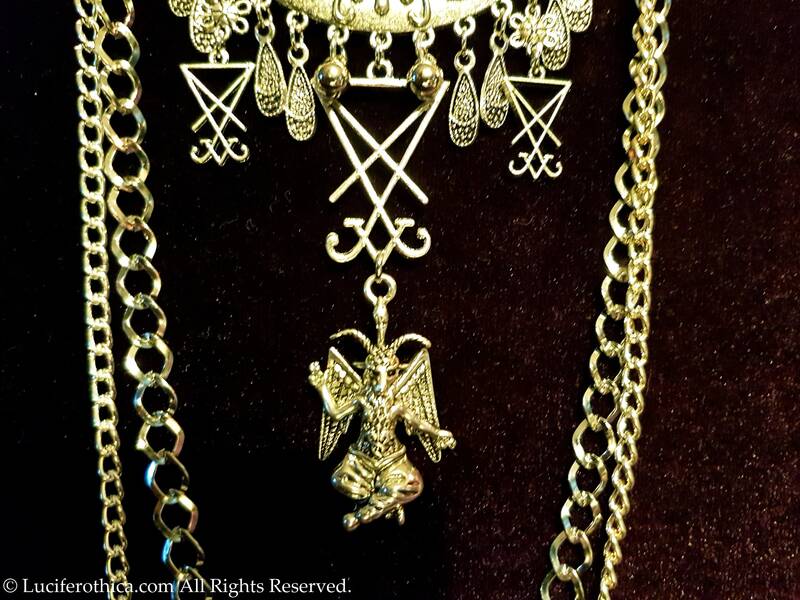 - 4 Mini & 1 medium Sigils of Lucifer.